It has been a busy day at the Allianz Arena. 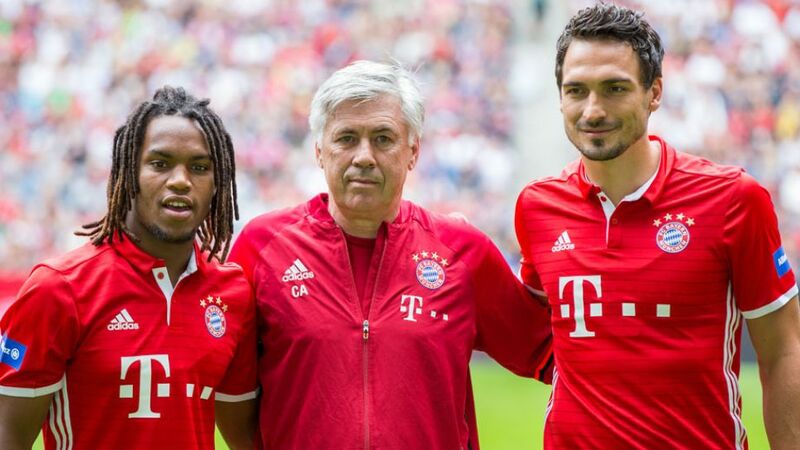 After unveiling new signings Mats Hummels and Renato Sanches to the press and conducting part one of the club's official team presentation in front of a live TV audience, FC Bayern München staged a very energetic team training session in front of 15,000 adoring fans. Here's a dilemma for all aspiring Fantasy Bundesliga coaches: Raphael Guerreiro or Marcel Schmelzer? Both are vying for a starting berth at left-back for Borussia Dortmund, but who would you pick? "It's down to the coach," Guerreiro said after making his BVB debut in Friday's 1-1 pre-season draw with Sunderland AFC. "I look up to Marcel Schmelzer. I want to learn from him." FC Schalke 04 have put together a video compilation of well wishes for summer signing Coke. The Spanish right-back suffered cruciate knee ligament damage in a friendly against Bologna FC on Thursday and is expected to be out until some time next year. "It's a nice thing to do," said Schalke sporting director Christian Heidel. "Coke was obviously shocked and had to digest the news himself. We're here for him and will give him any help that he might need. The doctors will decide if he needs surgery." Sandro Wagner served up what TSG 1899 Hoffenheim fans will be hoping is the first of many by opening his account for the south-west club in Saturday's 2-0 pre-season friendly win over AC Chievo Verona. The 28-year-old registered a career-best 14 Bundesliga strikes for former employers SV Darmstadt 98 last term. Michael Gregoritsch says he has grown to love Hamburger SV's new pink change strip. "At first I thought it was a bit garish," he admitted after scoring the only goal of the game in HSV's pre-season friendly against Stoke City AFC. "But with the blue sleeves, shorts and socks, I like it!"